Total tax revenues for fiscal year 2016/17 increased by 31.8 percent year-on-year to EGP 464.4 billion, compared to EGP 352.3 billion the year before, finance minister Amr El-Garhy announced at a press conference on Tuesday, according to Al-Ahram Arabic website. The increase in tax collections was mainly driven by the value-added tax, which was set at 13 percent last fiscal year. Collections exceeded the targeted revenues by 8 percent, Deputy Minister of Finance Amr El-Monayer was quoted as saying by Egyptian newspaper Al-Mal. Non-tax revenues increased by 30.6 percent year-on-year to EGP 177.1 billion, compared to EGP 135.6 billion, El-Garhy said. Investments registered EGP 109.1 billion in the last fiscal year, a 57.6 percent increase compared to EGP 69.2 billion in fiscal year 2015/6. Total expenditures recorded EGP 1.32 trillion, compared to EGP 817.8 billion the year before, a 26.2 percent increase. Total revenues recorded EGP 659 billion in fiscal year 2016/17, compared to EGP 491.5 billion last year, a 34.1 percent year-on-year increase. The ministry collected 40 percent of its revenues electronically, and targets an increase to 80 percent next fiscal year, Deputy Minister of Finance Mohamed Maait noted. The ministry is drafting a law on tax procedures, El-Garhy said. It will then be referred to the Cabinet, Al-Masry Al-Youm reported. The budget’s primary deficit, which is the deficit without accounting for debt services, was the lowest in eight years in fiscal year 2016/17, recording EGP 63 billion, compared to EGP 95.9 billion the previous year, Deputy Minister of Finance Ahmed Kouchouk said. It represents 1.8 percent of GDP. Debt services reached EGP 316.6 billion, compared to EGP 243.6 billion the year before. The interest rate hike is expected to lead to an increase in debt services to EGP 410 billion this fiscal year, compared to the projected EGP 380 billion. The rate hike increased by 700 bps since 3 November. The total deficit increased to EGP 379.6 billion, up from EGP 339.5 billion the previous year. The total deficit to GDP represented 10.9 percent of GDP in fiscal year 2016/17, down from 12.5 percent in 2015/16. The government is funding the budget gap with the sale of treasury bonds and bills, as well as external grants and loans. Kouchouk said the Cabinet has given its preliminary approval on the upcoming eurobond issuance. The Ministry is planning to issue $3-$4 billion in bonds next January, in addition to 1-1.5 billion in eurobonds in February, El-Garhy told Al-Mal. 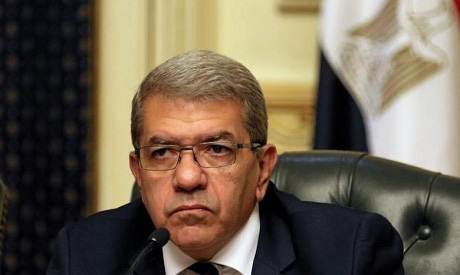 An IMF delegation will visit Cairo at the end of October or mid-November to conduct a review of the government’s economic reform programme before disbursing the third $2 billion tranche of a $12 billion loan in December, Kouchouk said. On fuel subsidies, El-Garhy said the government does not intend to cut energy subsidies further this fiscal year, as world oil prices are currently stable. The subsidies are set to be lifted over the course of five years.